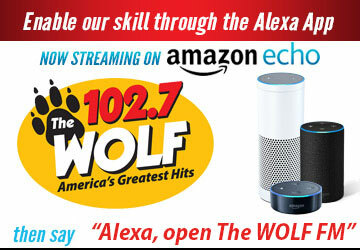 Advertising Information - The Wolf 102.7 | America's Greatest Hits! KWVF is proud to provide effective marketing for over 600 Sonoma County advertisers each year. With affordable rates and a million dollar Production Facility and staff, KWVF can provide local clients with "national advertiser" quality and effectiveness, on sometimes…24 hour notice. Regional advertisers enjoy the experience and market savvy offered by our Regional Sales Manager, Tom Skinner, who heads our San Francisco office (707) 284-9131. We also offer local market opportunities for our national advertisers through the McGavren Guild Rep firm. If you'd like to learn more about KWVF's advertising opportunities, please click on any of links on the right. Or give our Director of Sales, Patrick Stelzner, a call at (707) 284-9121. He'll gladly answer any of your questions.